Choosing food for the cat is a significant decision to make for your cat. The right diet will help your cat keep healthy, full of energy, and maintain proper weight through its life. It needs to be food that the cat admires to eat, and you feel good feeding her or him. When you walk on the aisle of a cat food store, it can be hard to know the best food for the cat. 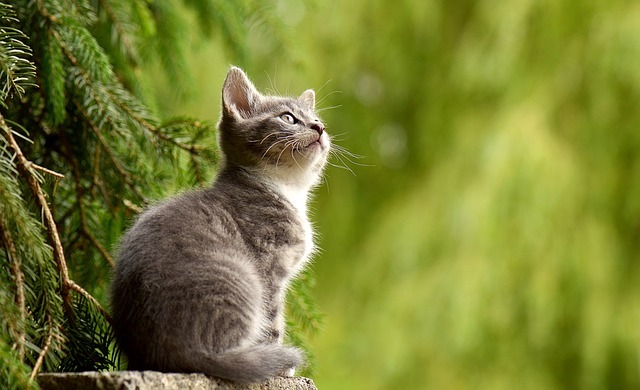 There are so many varieties, brands, formulas, and flavors that it is overwhelming to know the best one for your cat. Below are aspects that will help you choose the best food for the cat. In case the cat is below the age of one year, it has to be eating the kitten formula, not unless the vet advises you to switch to the adult formula. Cats that are between one and seven years need to eat the adult cat food. A cat has to feed on senior cat food after seven years of age. While choosing food, it is crucial to consider the activeness of the cat to make sure that she or he is getting the desired calories. If the cat is healthy and active, the regular formula will work best. For an indoor-only, active or cats that put on too much weight with regular cat food, opt for the indoor formula. More cat food firms make unique formulas catering to different health issues affecting the cats. For issues like allergies, urinary tract problems, sensitive stomachs, obesity, or hairballs, it is advisable to talk to the vet. It is crucial to know precisely the cause of the health issue before trying to solve the problem by purchasing new food. It is quite easy to mistake vomiting to an allergy or a stomach that is sensitive while it is a non-relating matter. Ask the vet when you have doubts. In case you are not a reader of labels for your cat food, begin familiarizing yourself with common elements found in wet or dry foods for you to easily tell good fat food from bad one while at the store. While reading the label, remember that the principal ingredients are the most important since they make up the majority of the food content. Since cats are carnivores, there needs to be meat meal or real meat listed among the leading ingredients. Better quality food may cost more. Why? Natural ingredients, high-quality meats, and natural preservatives are expensive. Foods of better quality have few fillers; therefore, each bag can give your cat added nutrition than a similar bag of food loaded with by-products, wheat, corn, and other artificial flavors and colors which are harmful or worthless to the cat. Make sure you read labels on the ingredients and purchase food of high quality. Paying more for better quality means the cat will be healthier. You will not waste money making trips to the vet for issues resulting from poor quality, cheap food. How to Train Your Dog Alone? How to Find the Best Dog to Buy?